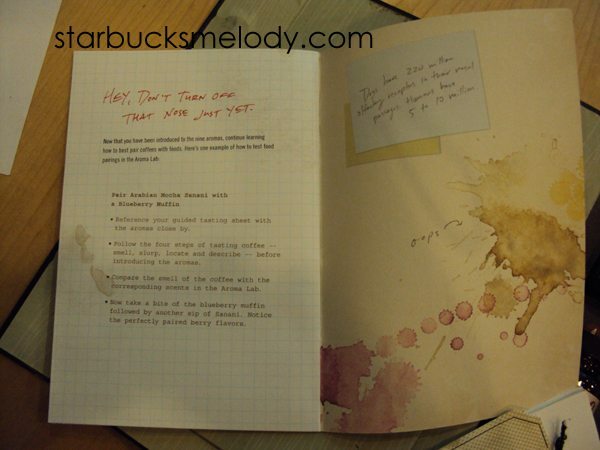 Between about 2004 and 2006, Starbucks sent stores some really interesting materials to use to teach partners how to become coffee masters. 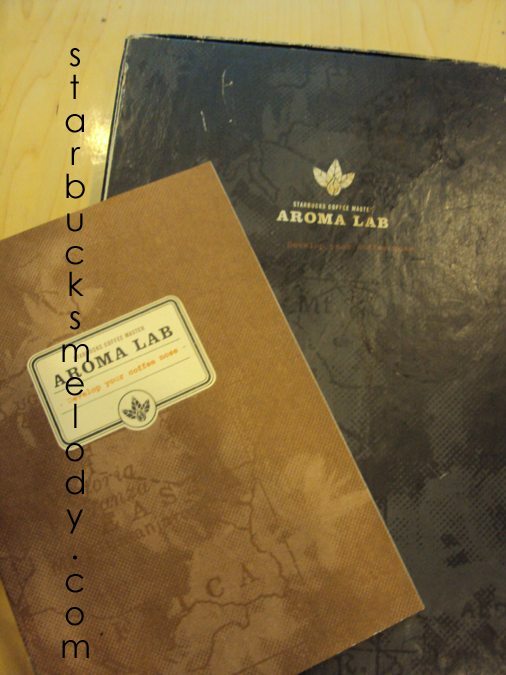 One of the more rare finds these days is the “aroma kit.” I often say that this blog is not Melody’s diary but rather about Starbucks, but I’ll share a bit on the story behind these pictures. 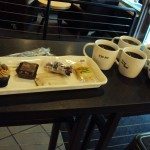 I am working on tasting a number of coffee pairings that were submitted from a previous blog article that I wrote. I spent at least 45 minutes, if not an hour, slowly trying drink all that coffee and eat all that food. Meanwhile, at times, I was carrying on a little conversation with the partners who were working too. Adriana commented how much she really liked Guatemala Antigua through the Clover, and I agreed that that coffee shines through the Clover. At one point, as I was drinking and eating, I saw that Adriana and Ricky were pairing lemon loaf and Kenya from the Clover. They invited me to try some but I had to decline because I felt like I had more than my fill of food and coffee. 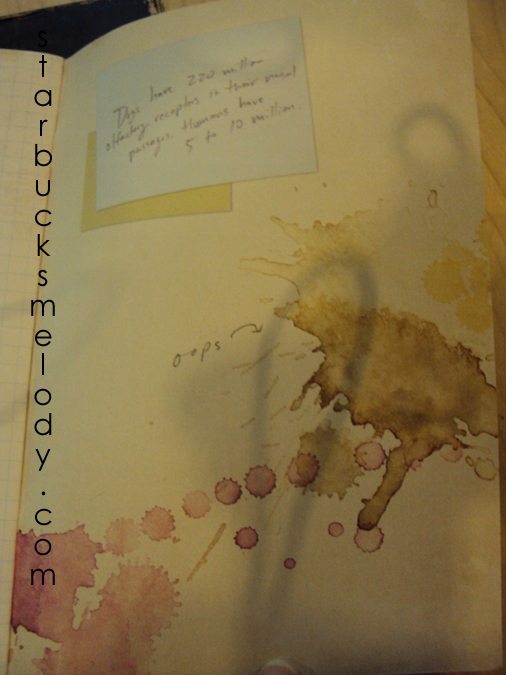 Also, I have to apologize that I am still working on the coffee pairings blog post and winners from that contest. I think I might have bit off more than I can chew with that one! This kit is actually still available to order for most stores, unlike all of the other old Coffee Master supplies. We have an aroma lab at our store and I always forget it’s there. Though, having said that, I was cleaning up some shelves the other day and came across it, so maybe I’ll dig it out today and we can have some fun with it. Another great history lesson and these lessons I find so interesting because from my side of the counter I do not see new partners being trained in the same fashion as years ago. What a shame for sure! Again, an old record but what has happened to partner training and learning about customer service? Thanks Melody for this post. @DrWho – A store can still order these! Wow that’s so cool! 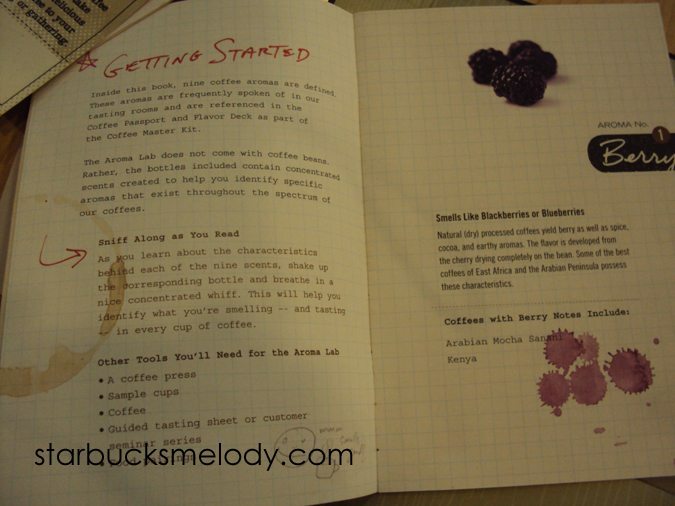 @purple1 – The new coffee master journal training which replaced this is pretty intense. As to training, I think that a lot can still happen, and I see partners doing coffee tastings, and getting trained but since there is not much time, I think partners have to be pretty motivated to make it happen. Yesterday, I was just chatting with a partner at my local store who said she wants to do a coffee tasting on 6-10 and she wants me to come … it’s still happening. Just requires motivation. I got giddy seeing this post. I had just earned my CM ( the first one, ehem) and we just received the kit. I must of had a formal tasting ( out in the lobby set up with multiple presses) once a week to “play” with the kit. It was so fun watching people get that experience when tasting the coffees. Now that I know it still available to order, I’m all over it for my team. I had no idea we could still order the aroma kit. 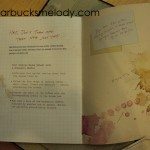 Im all over it, three partners in my store, including myself will be starting the new coffee master program this month. 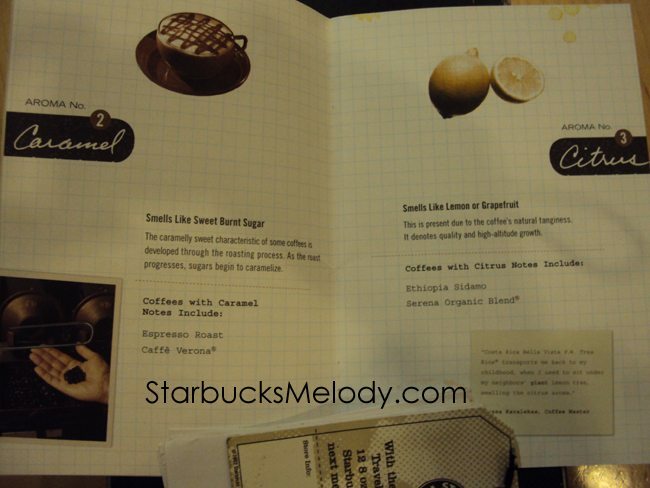 Its gonna be really great if we can have the aroma kit to take along on our journey! Thanks Melody! I am totally amazed that there still is a kit around. I am glad that it is being used and shared by partners. Kimmy your story is wonderful. 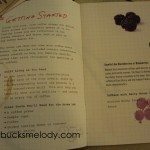 I also used this the first time I got my Coffee Master. We still have ours, but I forgot about it to be honest. Now that I’m reminded about it, I may just use it again. 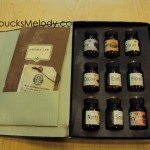 @GaStarbucksGirl – Does your store still have their aroma kit? @Kimmy – That is a great story!!! Thanks for posting that! We still have this at our store. It’s a little outdated and some of the scents don’t work but I still whip it out EVERY time a partner says “this just smells like coffee”. We love the kit and it has helped to create some really passionate partners. I feel as though I don’t have any unique input on this, but it certainly is a great was to start the process of sharpening your skills. 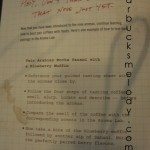 I know the first tasting I attended I had a hard time being able to pick out some of the notes I hears the baristas talk about…this would have been great to refer to. 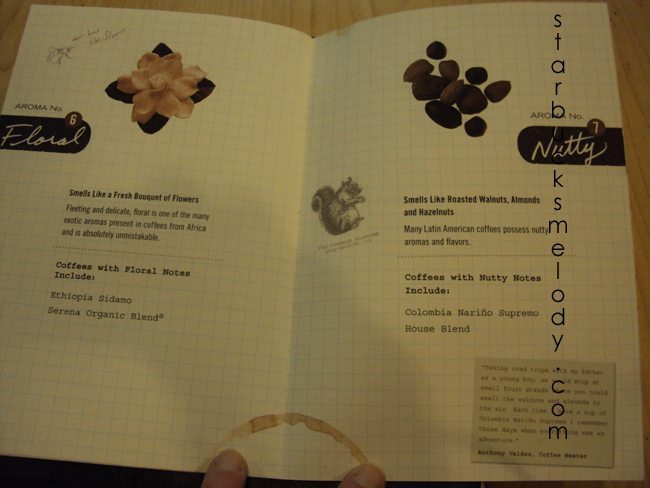 I really wish something like this would be available for coffee laypeople who want to learn more about their coffee. @Anthony – I know exactly what you mean. I guarantee that if this were a merchandise item on the retail shelves, it would FLY off the shelf both because of its incredible uniqueness, and because it would be so fun to use. 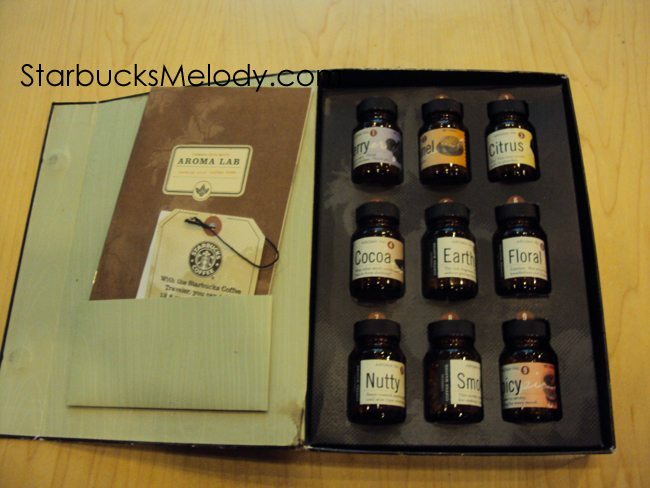 People naturally love things like this – Little bottles of aromas!! I think I’ll be checking ebay now and then to see if one of these kits ends up there, but it seems unlikely. I agree with Anthony – I’d love to have one of these kits! I like that kit. I wonder if they have updated ones ( I realized that some of the coffees aren’t offered anymore) and at Starbuck Harvard Yard opening, I realized lemon squares so perfect with Rwanda. In fact, one of the partners there, told me that they have made Rwanda sangria (putting lemon slices in Rwanda) and also putting grapefruit in Kenyan. I love how I never thought about doing that with coffee. Can I mention here that in Melody’s Chicago visit (before this thread was posted! but obviously after it’d been ‘put together’)), ironically at my little regular Mt Prospect Rand Rd store, TJ, the barita put in charge of treating us like royalty, actually brought out two of these, to use with the Sumatra tasting, and give a little of his history with the kit. Was very interesting and altho Melody already had experienced what she wrote in this thread, she hadn’t posted it yet! So, shout out to T.J. for bringing out some history in our tasting experience! Also, I know a store manager who would love to get one of these kits for her very new store. Do we know for sure where and how and if these kits can still be acquired for stores? anyone? thanx! well, I guess, upon re-read, I had my dates mixed up! 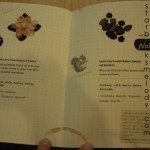 @Denise – I don’t really know for sure if the aroma kits can still be ordered. One store manager partner on twitter told me that they’re working on a new version of them. It is a funny coincidence that TJ brought out the two little bottles. 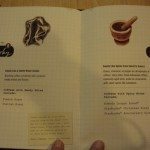 I had heard about the aroma kits many moons ago but hadn’t seen a full complete one with the instruction booklet until Adri pulled it out that day I was at 7th & Pike Starbucks. TJ did a great job with his coffee tasting! Sumatra is a great choice and he’s right that it does pair with oatmeal! 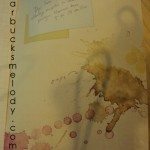 purple1 – I just wanted to respond to your comment about baristas not being trained about coffee anymore. 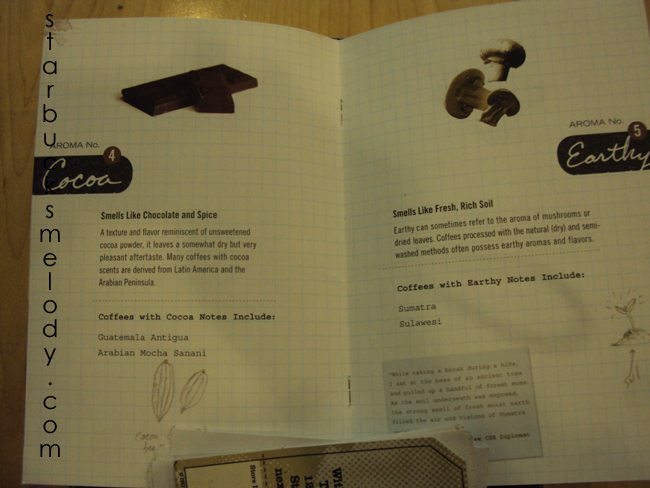 With our new training program (launched in the early part of 2011), there are actually 3 coffee modules. One in each learning block. As well as learning about growing, processing, sourcing, cafe practices, etc… these modules each contain a comparative tasting. 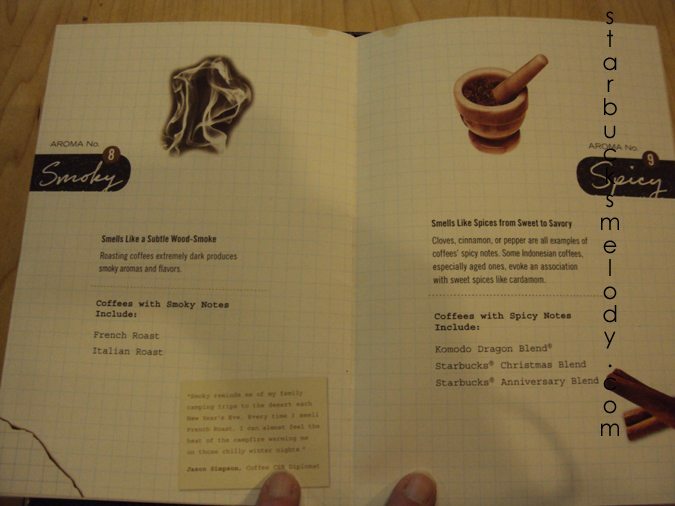 The first compares 4 different coffees, and the second and third compare 3 different ones. 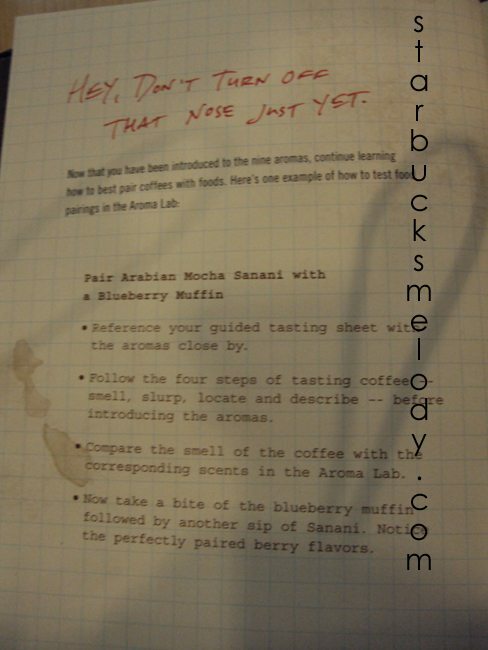 By doing the comparison tastings it seems that new baristas are able to pick out the different flavours easier than if they were tasting a single coffee on it’s own. My partners who have started since the new training program launched are very interested in coffee and they all make sure that they’re doing tastings on a regular basis. 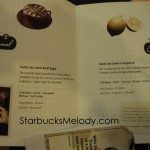 Melody – my favourite food pairing with Sumatra is a butter tart. I understand that these are a Canadian thing (I had no idea they were not known in the US till recently) so you might be going ‘huh?’ But when we paired Sumatra with the mini butter tart (we sold them for a while before we launched petites) I thought I might die and go to heaven. @Michelle – Oh my gosh Kevin Kline has been in so many great movies. I didn’t see that, but it is worth it for me to dig it up. Maybe wineries do use the same sort of tools! Interesting, on the blog we’re talking coffee, but the facebook page has totally different conversations going on. I finished the final touches on the coffee pairing blog post, and it will post tomorrow morning. I transferred stores and couldn’t order an aroma kit. 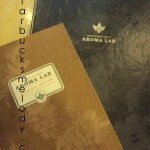 =( I miss how it helped new partners understand the subtle aromas in coffee. I discovered something interesting in my store today. There’s this satchel bag of stuff that has been way up on a high shelf in the store. Someone (I’m not sure who) brought it down to a level where I could reach it, so I went through it today. 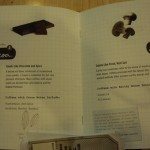 thank you for some cool artifacts!